Today is a big day for Star Wars fans. While we've still got a bit of a wait before Star Wars: The Last Jedi arrives in theaters on December 14 (UK) and 15 (US), the embargo for reviews has lifted, and that means the world can know what critics think of the film. If you've been holding your breath, afraid that The Last Jedi would be a hollow follow-up or play things too safe, well... breathe. Just breathe. Turns out it's actually pretty good, an opinion with which it seems nearly everyone agrees. 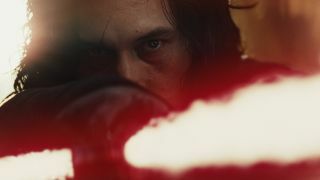 Our own Star Wars: The Last Jedi review called it an excellent middle chapter of Disney's new trilogy: "It’s not so much darker, a la The Empire Strikes Back, for it’s the funniest Star Wars film by far, and Johnson was vocal about wishing to avoid 'heaviosity'. But it is deeper, delving into the nature of the Force and what it means to be a Jedi, a religion that is thousands of generations old, and concentrating intently on themes of family, myth, identity, treachery, loyalty, and sacrifice." "J.J. Abrams’ The Force Awakens got dinged for borrowing too much from A New Hope, but recycling old material isn’t an issue in The Last Jedi. It’s evident that Johnson understands the criticisms about every preceding film and predicted the assumptions about this one (to the point where some dialogue sounds as if it was lifted right from fans’ mouths), and that he used that knowledge to absolutely shatter expectations. There are fan-pleasing moments, for sure, but nothing is included without a purpose. Johnson plays with all the toys Star Wars has to offer, and he’s not afraid to change – or break – a few along the way." "Meanwhile, Rey is just where we left her - on the remote Jedi temple island of Ahch-To, hounding Luke not only return to action, but also to tutor her in the ways of the Force the way Yoda once taught him on Dagobah. This last strand of the three has the most pay off by far. Not just because the push-pull, master-apprentice dynamic between Ridley and Hamill is so crackling it nearly sets off sparks, but because we know that this is the crux of the story. That this is where the torch (or lightsaber) will be passed." "The Last Jedi gives you an explosive sugar rush of spectacle. It’s a film that buzzes with belief in itself and its own mythic universe – a euphoric certainty that I think no other movie franchise has. And there is no provisional hesitation or energy dip of the sort that might have been expected between episodes seven and nine." "While Johnson mostly succeeds with his approach to creating different worlds and new challenges for our heroes, sometimes he takes a swing for the fences and gets a miss. This is a spoiler-free reaction, so I won’t say much, but I will provide one example: the casino planet of Canto Bight. The sequence looks like something out of the Star Wars prequels, which isn’t necessarily an insult as the prequels had an exceptional design, it’s just a very different aesthetic from the original trilogy palette. I suspect the design alone will result in a divisive response, but the story on this planet is probably my least favorite aspect of the film." "Though not created as one, The Last Jedi even works as a worthy send-off for Carrie Fisher. One line in particular, in the full benefit of hindsight, reads as a metaphor for the place that the actress turned author turned irrepressible public speaker of truth found in the hearts of her fans. If this is the last we see of Princess Leia, and it seems like it will be, it will be a good end." "While Mr. Johnson manages the big-canvas battles well enough, he’s better with smaller-scaled fights, in which the sweat, vulnerabilities and personal costs of violence are foregrounded. With Mr. Driver — who delivers a startlingly raw performance — Mr. Johnson delivers a potent portrait of villainy that suggests evil isn’t hard-wired, an inheritance or even enigmatic. Here, it is a choice — an act of self-creation in the service of annihilation."